A few weeks ago I finally got the chance to go to NYA Lit Fest. They’ve already put on two events last year, but unfortunately I was working during both. This time, I got organised and booked it off months in advance, and made my way over to Preston early in the morning with Lauren, Beth, Amy and Luchia. 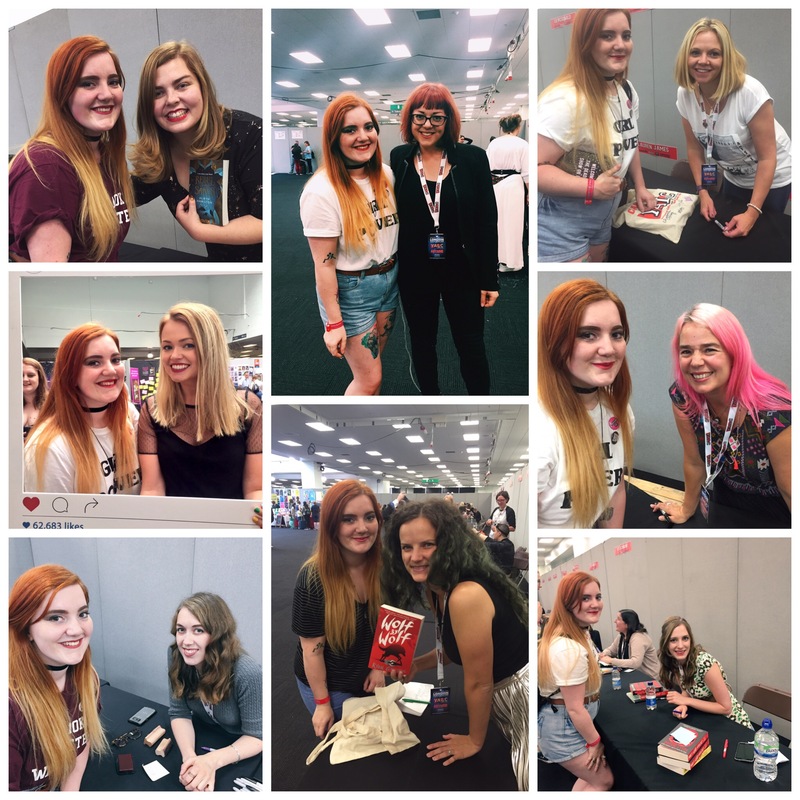 So it’s been a long time coming but my YALC wrap up post is finally here. This year, I went on the Friday and Sunday as I was at a wedding on the Saturday, but I had a great time even just attending for two days. I’m going to look at the good and bad points from this year, as well as my haul from the weekend! 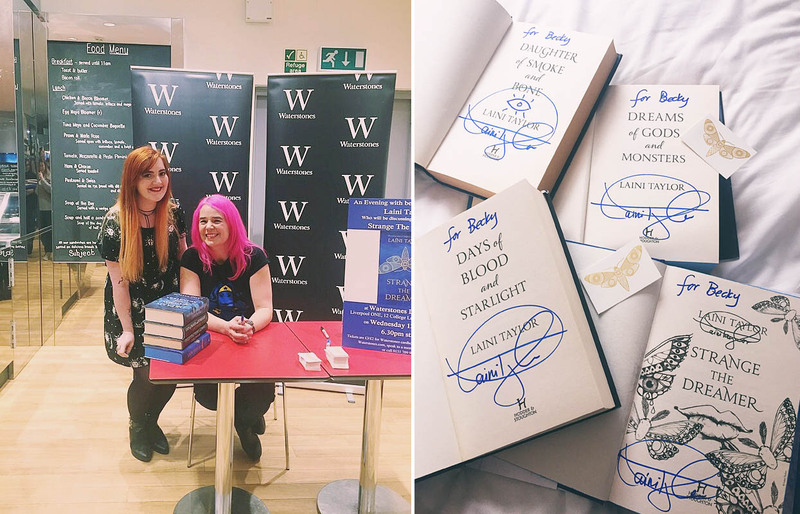 Months after booking my ticket, and after a few weeks of planning and speculating, Thursday the 23rd November rolled around – the day of Sarah J. Maas’s event in Manchester. To make it even more special, it had recently been announced that Charlie Bowater, the artist behind the Tower of Dawn map (and some of my all time favourite ACOTAR series fan art) would be joining Sarah for the event. As usual, I was heading to this event with my favourite Manchester based book bloggers, Amy, Lauren and Beth. The four of us decided to meet fairly early, anticipating crowds and long queues, and luckily we were the second group of people to arrive, so were right near the front of the queue! So I’m almost done with YALC posts. Maybe. Today I thought I’d post a bit about what I was given and what I bought whilst at YALC – I was a bit disappointed about missing out on some ARC’s, but honestly, I was really privileged to get given as much as I did! So first off, here are all the books that I took with me to get signed (Laini Taylor also signed my Sarai sticker and library of Zosma card!). 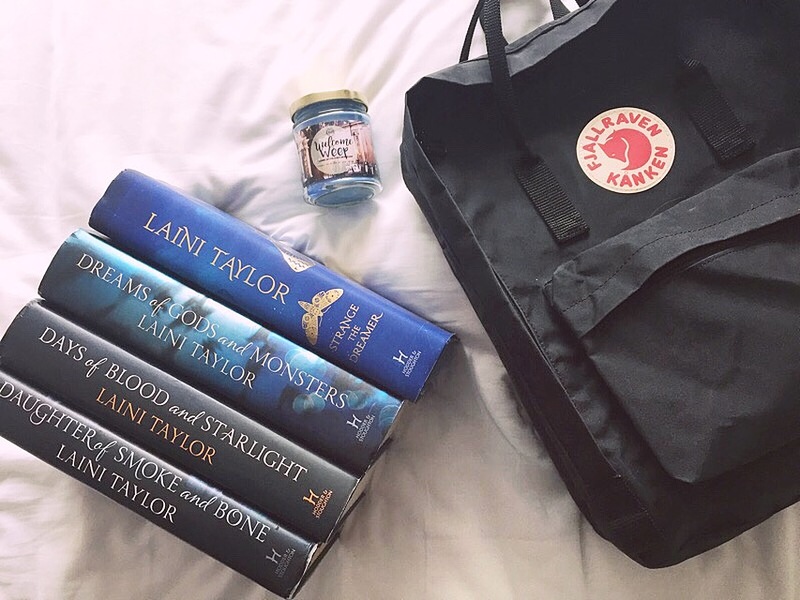 It was no picnic lugging these books around London (not to mention getting them from Manchester to London in the first place) and if I go to YALC again, I’ll definitely try to take less books with me for signings. I’d say the main problem with the amount of books I bought with me to London was that I didn’t anticipate how many new ones I’d be taking back home with me! Above are all the ARC’s I was given (I bought Trial by Fire in My Kinda Book’s mystery book sale, and bought Because You Love to Hate Me so I could get it signed by some of the authors who contributed to it). I’m especially looking forward to reading The Exact Opposite of Okay and A Shiver of Snow and Sky! I also managed to get quite a few samplers (most of these came in the YALC goodie bag we were given). I’m not usually too bothered about samplers as I’d rather just wait longer and be able to read the entire book in one go than a preview, but I’m definitely going to take a look at The Surface Breaks sampler I picked up – it’s Louise O’Neill’s next book, and not only do I already love her, but it’s a Little Mermaid retelling! The Godsgrave sampler also has a really cool poster on the centrefold, and I adore the artwork on the covers of the Nevernight books, so that was worth getting too! I also managed to get a few posters, postcards and notebooks. When I saw the ACOWAR poster peeking out of a box that told people to take whatever they like, I immediately ran over and grabbed one for myself and one for Amy (who would’ve probably killed me if I didn’t get her one). I’m not gonna lie, this is essentially just everything that wouldn’t fit in another photo (or that I forgot to put in). Chapter 5 were kind enough to give me the Strange the Dreamer poster as they didn’t have any Sarai stickers when I went to ask. The mug and feather pen are from Fairyloot (alongside the subscriber badge), and YALC candle is by GeekyClean. I met Lauren (@FictionTea) over the weekend and she gave me two of her bookmarks – the Adventure Continues Here and DOSAB ones! I’d definitely recommend checking out her store as she has some gorgeous designs. Last but definitely not least, I got a few tote bags alongside my official YALC tote! I also bought the YALC 2017 tshirt as I thought it was a really nice souvenir (I’ve been using it as a pyjama top and it’s so comfy). I’m still overwhelmed with the amount I bought back from YALC (and so is my bookcase. And my husband. Oh well) but I can’t wait to get stuck into all of my new books, and find somewhere to hang half of the new stuff I got. I’m moving house soon so I’m already planning where to put it all! So I feel like I haven’t blogged in forever (and I’m pretty sure I’ve done barely any blog posts since we made the move over here to wordpress) but as some of you might have seen, not only have I had a lot going on with work and going on holiday, but the weekend before last, I went to YALC for the first time! 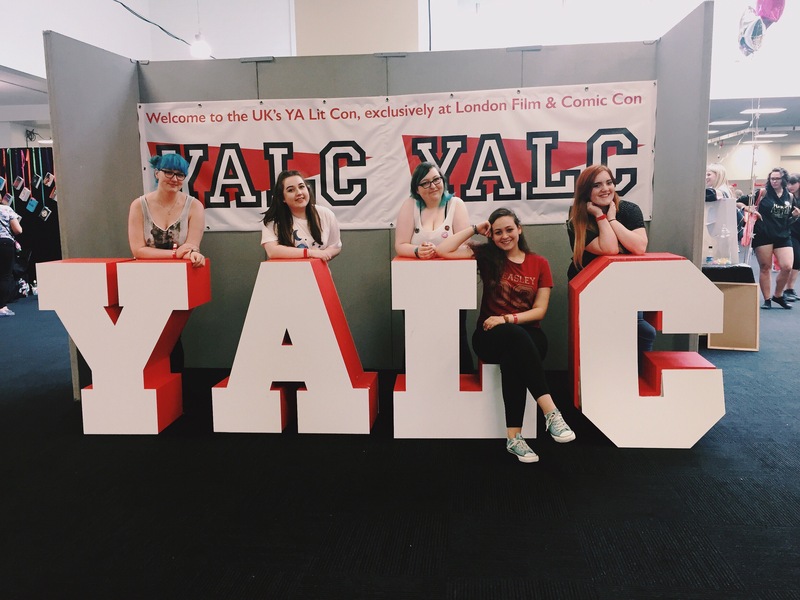 I’ve planned a few YALC related posts which I’ll be posting over the next couple of weeks, but I thought I’d start off with something simple – my highlights of the weekend. So of course, one of my big highlights of YALC was getting to meet so many wonderful authors! Amongst others, I met and spoke to Alwyn Hamilton, Ryan Graudin, Samantha Shannon, Holly Bourne, Virginia Bergin, Hayley Barker, Alice Broadway, Elizabeth May, Lauren James, Laura Steven, Chloe Seager, I met Laini Taylor once again, and to top it all off, V. E. Schwab. All of them were so lovely and so willing to chat and take photos, despite their hugely busy schedules. A lot of the authors were often wandering around as well, so it was easy enough to talk to them even if you didn’t have much time during their signings. So since we all went to Laini Taylor’s Liverpool event together in April, myself, Amy, Lauren and Beth have been meeting up for other bookish events, book shopping or just for catch ups, and I’m so glad I was able to spend YALC with them and also with Lauren, who we met for the first time at YALC and who fit into our little group instantly! I couldn’t have asked for better people to spend my first YALC with! Another big highlight for me, after we got over general social awkwardness (and also ignoring the difficulty of working out who people are just from their twitter photos) was meeting so many other bloggers who I’ve followed for so long! I’m quite a socially anxious person, but at a place like YALC, you’re never going to be the only one who feels that way and aren’t judged for it at all. 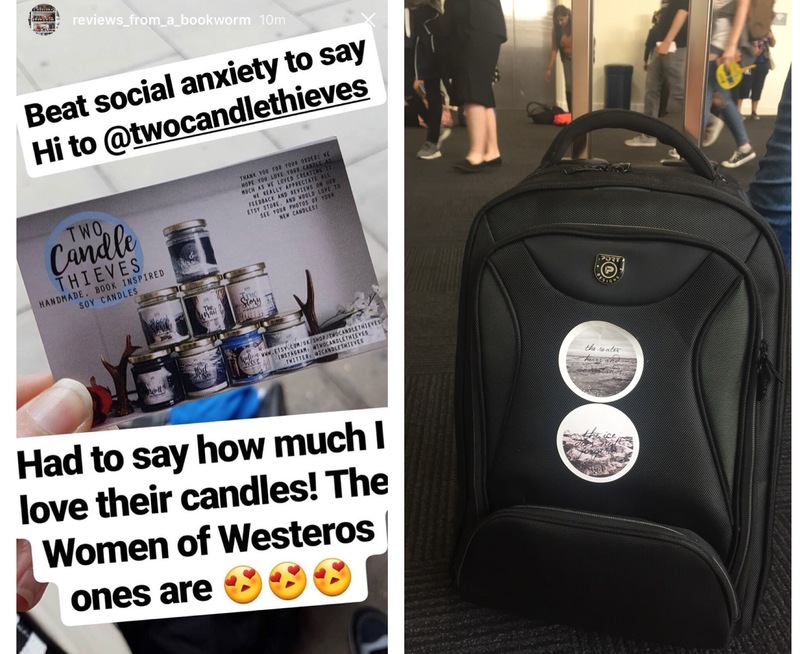 So I’d been advertising on our Two Candle Thieves accounts that I’d be giving out goodie bags throughout the weekend, and thankfully, people did come and find me to get these bags (I was so nervous that I’d end up taking them all home with me because no one would want them!). My anxiety over this was lessened after meeting Charnell (@reviews_from_a_bookworm on instagram) on the first day – she came over to me in the queue and told me she loved our candles, which made me feel so much better! I also met Kasia (@kashpoint) who’d previously bought our Six of Crows stickers and stuck them onto the case she had with her! I’d be lying if I said I didn’t enjoy picking up so many freebees! To be honest, one of the big highlights for me was the amount of badges and pins given out – I love adding badges to everything so getting my hands on more was never going to be a bad thing. Although I did manage to grab quite a few ARC’s that I’m really excited to read, I was quite disappointed with the way that a lot of them were given away (mostly involving running to the publisher’s stand and the first one there/first one to perform a certain dance move etc won it) however, I’ll be talking about that more in detail in one of my later posts. ARC’s and swag I picked up on day one of YALC! Overall, I really did have an amazing weekend at YALC, despite the minor setbacks throughout the weekend. Keep an eye out for more posts about it over the next few weeks! So we’ve gone a bit quiet again recently, partly due to the opening of our store, Two Candle Thieves, and also as Angharad’s away at the moment and I’m just finishing up with my degree. Hopefully once the last of my assignments are submitted and Angharad’s finished gallivanting about in the south of England, we’ll be posting more frequently again! 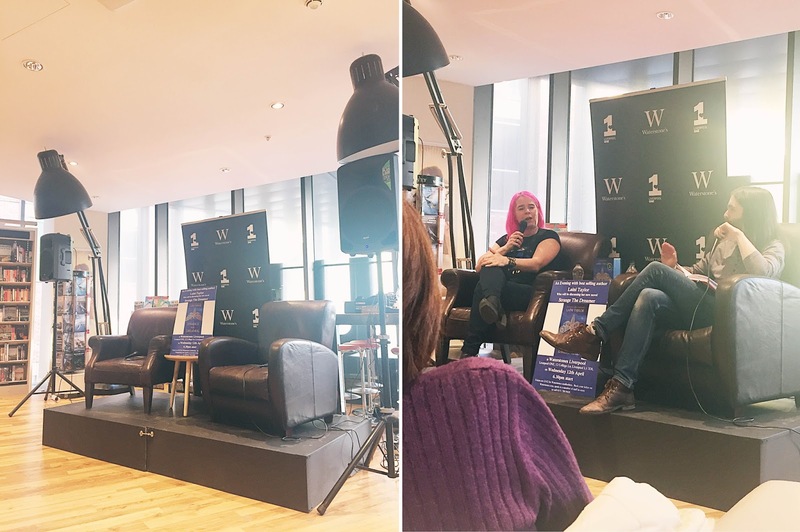 Today’s post is a bit different from anything we’ve done before (partly because we’ve never attended book signings before – unless you count the Jacqueline Wilson event I went to when I was 12…) but anyway – I thought I’d share a bit about the Laini Taylor event I went to in Liverpool a few days ago! 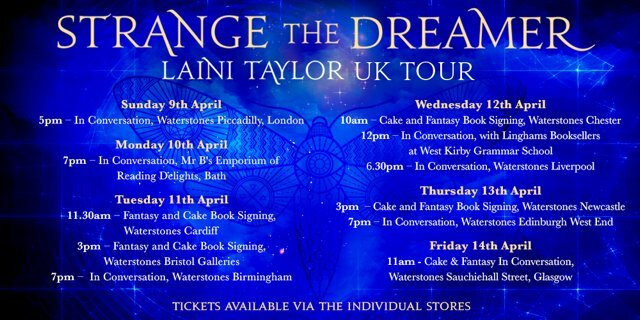 As soon as I saw that Laini was touring the UK, I knew I had to be at one of her events – I’ve absolutely loved her writing ever since I read Daughter of Smoke and Bone around five years ago, and I had been waiting to read Strange the Dreamer ever since I heard that she was writing a new novel. Unfortunately, Laini wasn’t visiting Manchester on this tour, so after considering the three nearest event stops to me, I decided to attend the event at Waterstones in Liverpool – I’ve been to Liverpool many times for photography work, and as I was anxious enough about going to a bookish event for the first time (and on my own) I wanted to be in a city that I was fairly familiar with! Luckily, I ended up not having to go to the event alone, and met up with Amy (www.amyjanealice.com), Lauren (www.northernplunder.blogspot.co.uk), and Beth (www.iambookmad.com), three fellow Manchester-based book bloggers. I’m usually an awkward mess when meeting new people, but these three are so lovely and it was so great to meet some book lovers who live close to me! So after travelling to Liverpool and grabbing some food, we got to Waterstones, and I couldn’t have been more excited. There was a little talk and Q&A – Laini spoke about how Strange the Dreamer was originally Sarai’s story, called the Muse of Nightmares, but Lazlo just kept coming back to her, and so the first book in the series became his story. I’m so glad she chose to write the book this way, as I have to admit, Lazlo is definitely my current bookish crush. I feel as though I should have taken notes during the talk (as a few other people there were) so I could remember it all better, but I was just so awestruck that I didn’t even think to do so! One interesting link between Strange the Dreamer and Daughter of Smoke and Bone was the mention of being impaled on spikes – this is at the very beginning of Strange the Dreamer (so no spoilers here, don’t worry!) and mentioned briefly in Daughter of Smoke and Bone (about Czech nationalists attempting a rebellion against the Nazis, and subsequently being impaled on a gate surrounding the building that had become Karou’s art school). Laini hadn’t actually noticed this link until it was brought up but assured us all that she doesn’t have a phobia of being impaled on a gate. After the talk, we queued up for the signing – the four of us were panicking a bit about getting the train back, but the lovely Waterstones staff moved us closer to the front of the queue (with the help of a very kind man who let us cut in front of him – if you’re somehow reading this, big thanks to you!!). It got to my turn to speak to Laini, and I was honestly so nervous! I got up and handed her my books and mumbled some rubbish about how it was my first book signing, I was sorry that I’d brought so many books with me to be signed, and some other nonsense. Laini was such a lovely person though! I also gave her one of our Welcome to Weep candles and got a photo with her (below). We were all given two Strange the Dreamer moth temporary tattoos, which are so pretty that I can’t bring myself to actually use them and have stuck them on my bookcase instead! I do feel as though I was such a puddle of awkwardness, but hopefully next time I’ll be less nervous now that I know what to expect from author signings and events a bit more. I’m really hoping to somehow be able to attend YALC this year, and if I do I’ll get to meet Laini again which would be amazing!